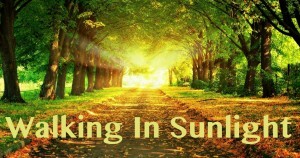 The objective of the WalkingInSunlight.com literature is to help young people acquire a better understanding of, and appreciation for God, His Word, and the church He purchased with the blood of His Son. These studies are designed to be teacher-friendly, generate class participation, and encourage personal study. They are made age-specific by discussion. Allow adequate time for students to think about and answer every question. Point them to God’s instructions, written and preserved for their benefit. Remember, it is an awesome privilege to help young people grow closer to God! All of our lessons are viewable and printable in Adobe Reader. You are encouraged to use them free-of-charge in your Bible classes and home studies. If you wish to republish them, we respectfully request that you contact us to request that permission.